SailFace® is a premium choice cruise community with a global perspective. The growing SailFace® membership interact on network and forum platforms deployed on the latest technology. SailFace® subscribers realize an appreciating value of being able to meet, greet, mingle, and stay connected with cruisers whom share similar experiences and expectations of quality. Our members enjoy the constant evolution of the SailFace® Promenade. So make sure to subscribe to our free subscription so you too can peruse SailFace® Promenade features. SailFace® is a premium choice cruise community with a global perspective. The growing SailFace® membership interacts on network and forum platforms deployed on the latest technology. 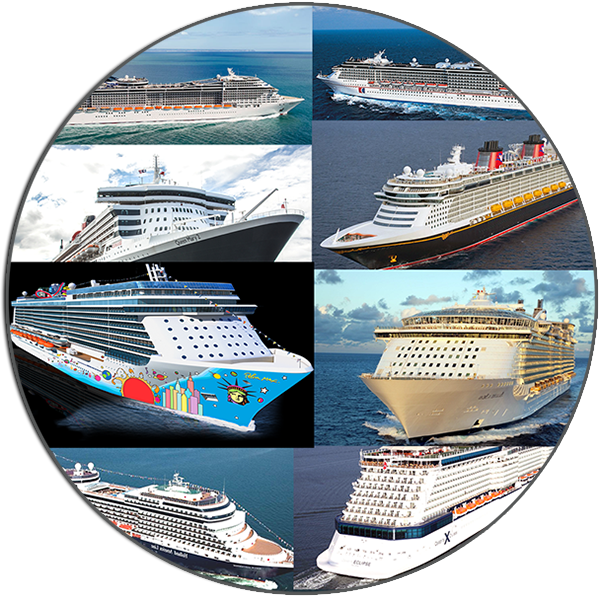 SailFace® travel professionals optimize itineraries with Premier Complete Concierge™ itinerary solutions. Whether traveling alone or with large groups, the Premier Complete Concierge™ provides seamless and strategic bookings over the complete spectrum of the travel experience. SailFace® subscribers realize an appreciable value of being able to meet, greet, mingle, and stay connected with cruisers whom share similar experiences and expectations of quality. Our members enjoy the constant evolution of the SailFace® Promenade. There are continuous activities while on-board most voyages. From the most laid-back, mature, high-end itineraries, to the hip-hype cruising themes, there is always the question; “Which Deck, When?” Whether it’s an early morning yoga session, or a mid-afternoon challenge on the wave rider, the question still remains. Share with SailFace® and its members your “Which Deck When” experiences. From the discotheque to the ice-room bar- from the sushi bar, to the bumper-cars-we want to know. There are continuous activities while on-board most voyages. From the most laid-back, mature, high-end itineraries, to the hip-hype cruising themes, there is always the question; “Which Deck, When?” Whether it’s an early morning yoga session, or a mid-afternoon challenge on the wave rider, the question still remains. Share with SailFace® on our blog your “Which Deck When” experiences. From the discotheque to the ice-room bar- from the sushi bar, to the bumper-cars-we want to know..
12 SailFace Oceansview Place (12SOP) ® community is a global community focused on all aspects of the cruise experience. The latest cutting edge technologies have been integrated into SailFace® giving our members the ability to interact in “real terms”, real-time. 12SOP members enjoy offerings which include an interactive calendar for posting events-land based or ship-based. 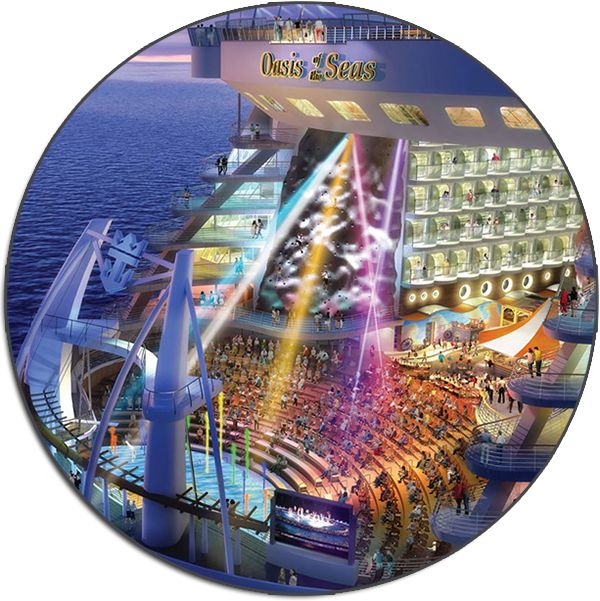 Depending on the itinerary, 12SOP members may be invited to a SailFace® party at sea. 12SOP members have direct access to post ship activities on our priority information cloud for public or private publishing. Plus the 12SOP community is adding new community enhancements as we grow. The buzz: Carnival Horizon to Sail 4-Day Bermuda Cruises from NYC. The cruise lines are building newer ships with attractive and alluring amenities. The choices of ship are many and the cruiser is weighing in on what they like and where they want to go. Our featured ship section will explore one ship at a time. We will cover the classes of ships along with the destinations the ships visit. Make sure to visit this section frequently and voice your comments on the SailFace blog. Next Featured Ship – The Harmony Of The Seas from Royal Caribbean International. “The Place” for Ocean Travelers. The word is getting around that SailFace® is the place for cruise information, networking, travel professional directory and global travel resources. So, make SailFace® your goto for ocean travel imperatives. The SailFace social network is an ocean traveler’s kind of place, ship-by-ship, destination-by-destination, and ocean-by-ocean. SailFace® is an advanced social network utilizing interconnected networks to connect globetrotters and ocean travelers within the framework of our global community. No matter what hemisphere your cruise may be sailing, the SailFace® community is as close as the device in your hand. SailFace® realizes the needs of the cruising community and the demand for relevant; informative content and the possibility for engaging social interaction. 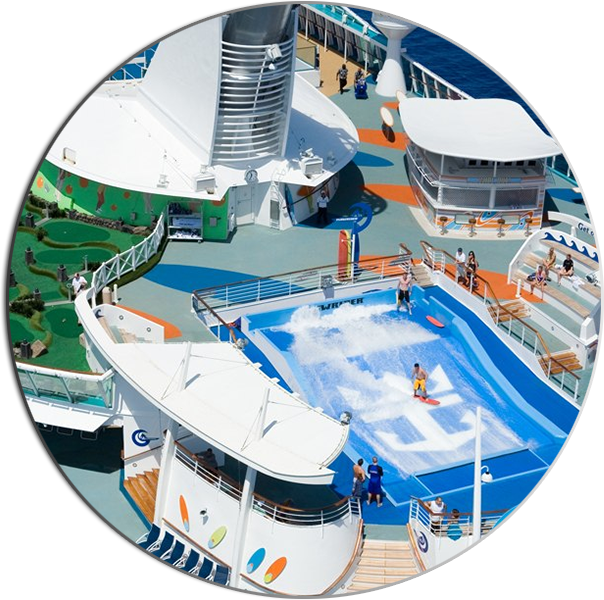 SailFace® is where cruisers get the inside scoop on cruising where, when, and why directly from members. 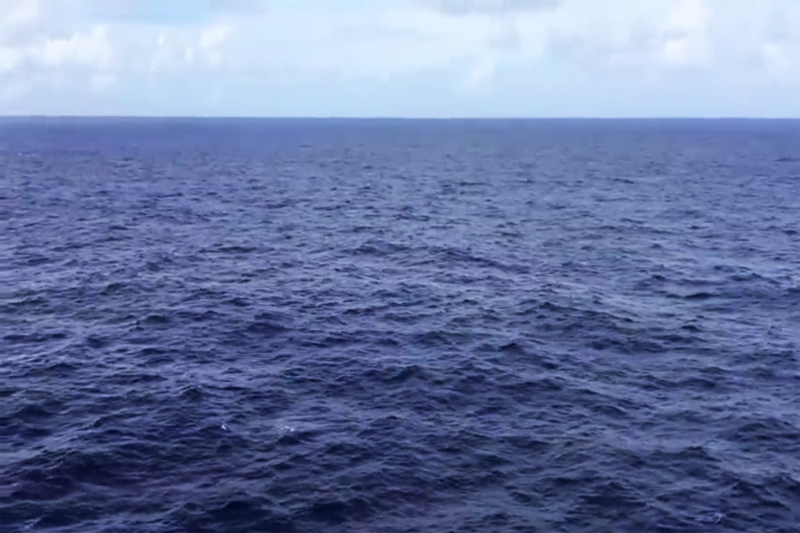 The SailFace® network connects globally upfront and personal with other cruisers in-transit or at home. Take a stroll down our Promenade for premium content. There are continuous activities while on-board most voyages. From the most laid-back mature, high-end itineraries, to the hip-hype cruising themes, there is always the question; “Which Deck, When?” Whether it’s an early morning yoga session, or a mid-afternoon challenge on the wave rider, the question still remains. Share with SailFace® and its members your “Which Deck When” experiences. From the discotheque to the ice-room bar- from the sushi bar, to the bumper-cars-we want to know. Come blog with us. Interact with other seafarers from a global perspective to experience the opportunity to expand the international trappings afforded to cruisers and globetrotters. Contact us to get started on your cruise planning and booking. SailFace® staff and other travel related team members understand the essential role travel professionals at all segments of the travel experience. Travel professionals provide technical, common sense strategies which provide solutions for simple and complex travel itineraries. Therefore, SailFace® provides a travel professionals directory for our membership. Whether compiling a cruise travel itinerary or any other travel make sure to utilize a travel professional for all your travel requirements. Disembarking at a port-of-call provide the cruiser with excursion opportunities which also allow visitors to be immersed into different cultures. Visiting ports-of-call provides an experience to the visitor (in this case, cruiser) that educates, confirms, or reaffirms previous notions. Excursion experiences range from a walk in the park all the way to climbing mountains. If you can think it up, there is probably an excursion to fit the bit. Why join SailFace®? SailFace® is a growing and engaging social network. Our tech team has developed and deployed the SailFace® community on the latest platforms to insure all devices whether Android, Apple, or Microsoft will render with stunning results. SailFace® is produced and published to be more than mere volumes of words with little value. Our editors are focused on publishing relevant, informative, and entertaining content for the globe trotter and ocean traveler. SailFace® is the premium choice.